Usually, each year we replace our old flock with a new one. The hens lay eggs very well for the first year. The second year they lay bigger eggs, but less of them. The third year the production drops way off and in year number four, you are feeding feathered pets 😮 I find that keeping the hens for one year is the most profitable way to raise your own eggs. This does mean culling every year. The old hens make great soup stock when canned and put in the pantry, but this job is a tough one for some homesteaders. We raise our livestock, including our laying flock, in the most humane way we can. They are tended to twice daily. They have clean, warm beds, plenty to eat and are treated kindly. We raise all of these animals for a purpose. The mother cows give us steers and heifers, for meat and replacements. Once the cows reach the end of their baby raising years, they head off to freezer camp and provide us with yummy ground beef. Our sows are treated the same way. Again, they have a great life here, then we eat them. Our pets are the dog, cats and my horses. All of these animals have jobs too and are expected to perform, but they don’t get eaten 😮 Culling is the hardest part of farming. I sometimes am guilty of giving a sow “one more chance” this is not the best way to farm. Giving “one more chance” often leads to a disaster. A bad mother pig will squash her babies or even eat them! This is not a pretty sight on either account. You have also raised, fed and hauled poop from that sow for an additional four months, only to be repaid by getting…nothing. Well, nothing except for a whole bunch of great tasting sausage when you send the ungrateful animal off to freezer camp. 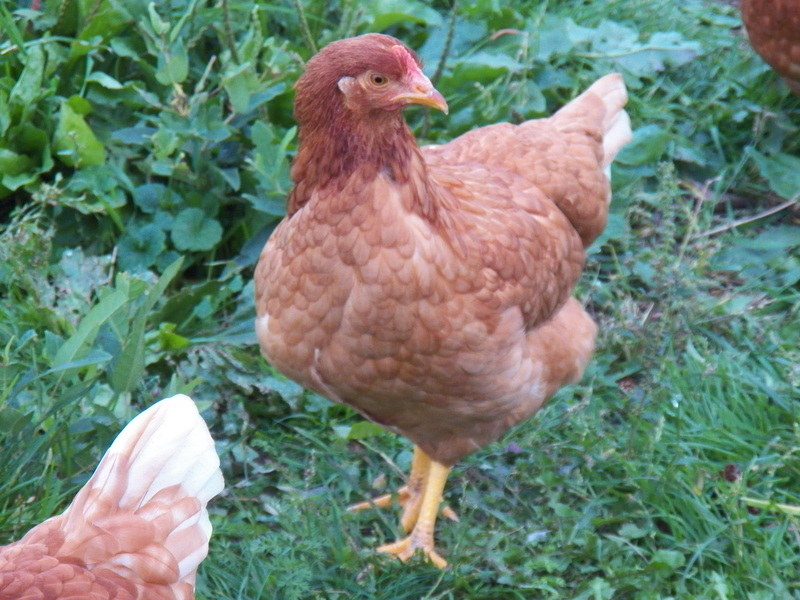 We buy our replacement hens as young pullets ready to start laying. This year we bought them a bit younger that usual. They are good, healthy birds, but were a bit younger than we were told. In any case, we are starting to get eggs again. It is a fun thing to find the new eggs in the hen house nest boxes. It is almost like finding treasure. I will tell you that for those of you who have never seen the face of a child gathering his first egg or digging her first potato, it is a treasure! The other night when I came home from work, my wife greeted me with the words, “Yippee, we got an egg!” I realized just what a treasure it is….eggs, sausage, this farm and the love that holds it all together.